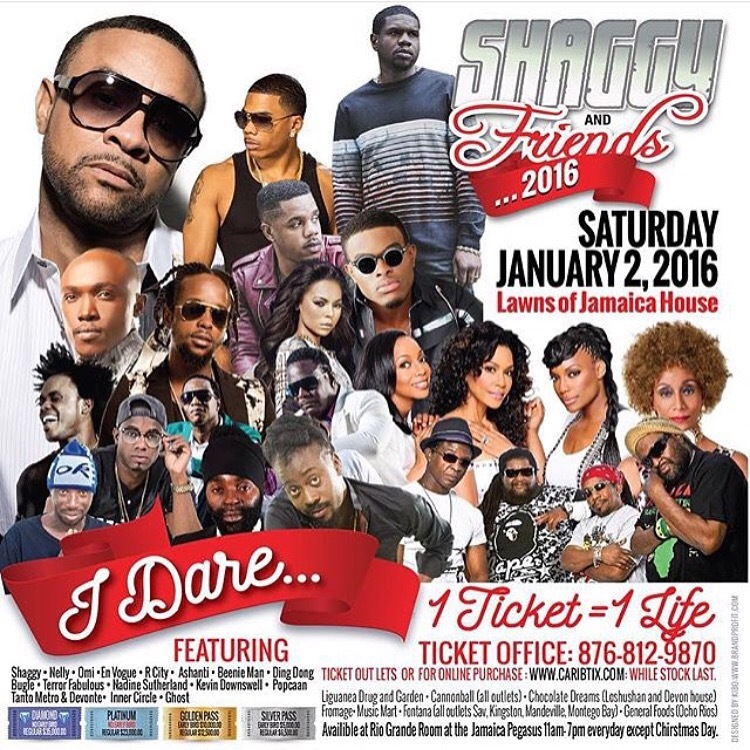 Shaggy must be commanded for all his work and efforts he has done in aid of his charity the Shaggy Foundation which through his event Shaggy & Friends raises money that go’s towards equipment and supplies for the Bustamante Hospital for Children in Kingston, Jamaica. This is the only hospital for children in the region. After a hiatus the event is back and TONIGHT will feature top acts such as Nelly, Omi, R.City (Rock City) Ashanti, Beenie Man, Popcaan and more. If you are in Jamaica you can call the ticket office 876 812-9870 to get your tickets or check out the flyer above for more info. For those who cannot make it please donate via shaggyfoundation and watch the live feed of the event right here via this live stream!